Double-LP version. Gatefold sleeve. Since the release of his two first albums on Favorite Recordings, Lucas Arruda has quickly established himself as one of the most talented young artist and composer from Brazil. His music is filled with a fusion of style, mixing influences and elements from his Latin musical background, with his genuine admiration for jazz, soul, pop, and funk music. In spring 2015, it was also not surprising to find Lucas Arruda back with a new LP called SOLAR (FVR 100CD/LP), receiving great support and feedback from international media and tastemakers. 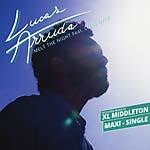 One of the highlights of the album was the song "Melt The Night", on which Lucas teamed up with legendary producer Leon Ware, reminding listeners of Ware's collaborations in the '80s with Marcos Valle when they perfectly merged together the sophisticated boogie and AOR touch from California, with the blazing sense of rhythm from Brazil. 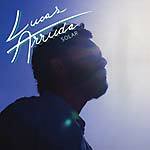 Favorite Recordings present Onda Nova, the third album by Lucas Arruda. Mostly written, composed and arranged by himself, Lucas however teams up on a few tracks with his old mate Fabricio di Monaco (Modo Solar), his brother and musical partner Thiago Arruda, who recently joined Ed Motta's live band, or Gaël Benyamin, aka Geyster, who brings his longtime "savoir-faire" and skills for writing and composing AOR and west coast music genre, and who share this deep passion with Lucas. Onda Nova is therefore pursuing the music direction set with SOLAR, mixing blue-eyed-soul, pop, soul, and Brazilian styles together, and influenced by the path of legendary Brazilian producer Lincoln Olivetti, who recorded some of the biggest stars of Brazilian music (Marcos Valle, Jorge Ben, Tim Maia). In Lucas words: "In this record I really wanted to honor Robson Jorge and Lincoln Olivetti. They are the main influence on this record. We recorded the basic tracks for the album in the same studio that Lincoln Olivetti did his last works. So, this was very important to capture the true essence of Brazilian Funk/AOR tradition. Hope you guys enjoy it!" 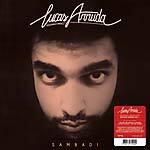 In 2015, Brazilian musician Lucas Arruda, who mixes elements from his Latin musical background with his genuine admiration for jazz, soul, and funk music, released his second album, SOLAR (FVR 100CD/LP); one of the album's highlights was "Melt the Night," for which Arruda enlisted legendary producer Leon Ware; the track recalls Ware's 1980s collaborations with Marcos Valle, which perfectly merged sophisticated Californian boogie and AOR with blazing Brazilian rhythms. Here, California nu funk producer XL Middleton remixes the track into a futuristic boogie-funk track with massive basslines and heavy beats. The 12" also includes the original and instrumental versions. Two years after the 2013 release of his first solo album, Sambadi (FVR 080CD/LP), acclaimed Brazilian composer Lucas Arruda presents his second album, SOLAR. In 2012, Fabricio di Monaco (Modo Solar) introduced Arruda's music to Favorite Recordings founder Pascal Rioux, and one year later the label released Sambadi, which received great support from many international DJs and media. SOLAR is filled with Arruda's fusion style, mixing elements from his Latin musical background with his genuine admiration for jazz, soul, and funk music. 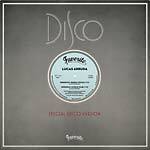 On "Melt the Night," for example, Arruda asked legendary producer Leon Ware for his help, and the resultant track is reminiscent of Ware's 1980s collaborations with Marcos Valle, which perfectly merged sophisticated Californian boogie and AOR with blazing Brazilian rhythms. They also recorded a version of Diana Ross & Marvin Gaye's classic ballad "Stop, Look, Listen (To Your Heart)" with the help of the beautiful voice of Guida de Palma (Jazzinho). For "Uma Onda," Arruda invited Alex Malheiros, bassist of the famous jazz band Azymuth, for a splendid tribute to their fusion sound and influence on the Brazilian music scene. "Agua" co-written with Arruda's longtime friend Fabricio di Monaco, is a beautiful ballad that perfectly illustrates Arruda's passion for soul music. On top of these great collaborations and a few more surprises, SOLAR also differs from its predecessor in its more elaborate production, offering an authentic and warm sound. Mostly recorded at Sala A Studio in Brazil, many drum parts were also recorded at the fully analog Ambience Studios in Finland. The mix was also done in Finland on a Neve 8108 console from 1978, using only analog technology and a Studer master tape to record the final pre-master. 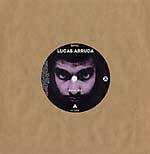 The result is a timeless album, which should definitely establish Lucas Arruda as one of the finest and most talented Brazilian musicians these days. Gatefold 180-gram double LP version. Two years after the 2013 release of his first solo album, Sambadi (FVR 080CD/LP), acclaimed Brazilian composer Lucas Arruda presents his second album, SOLAR. In 2012, Fabricio di Monaco (Modo Solar) introduced Arruda's music to Favorite Recordings founder Pascal Rioux, and one year later the label released Sambadi, which received great support from many international DJs and media. SOLAR is filled with Arruda's fusion style, mixing elements from his Latin musical background with his genuine admiration for jazz, soul, and funk music. On "Melt the Night," for example, Arruda asked legendary producer Leon Ware for his help, and the resultant track is reminiscent of Ware's 1980s collaborations with Marcos Valle, which perfectly merged sophisticated Californian boogie and AOR with blazing Brazilian rhythms. They also recorded a version of Diana Ross & Marvin Gaye's classic ballad "Stop, Look, Listen (To Your Heart)" with the help of the beautiful voice of Guida de Palma (Jazzinho). For "Uma Onda," Arruda invited Alex Malheiros, bassist of the famous jazz band Azymuth, for a splendid tribute to their fusion sound and influence on the Brazilian music scene. "Agua" co-written with Arruda's longtime friend Fabricio di Monaco, is a beautiful ballad that perfectly illustrates Arruda's passion for soul music. On top of these great collaborations and a few more surprises, SOLAR also differs from its predecessor in its more elaborate production, offering an authentic and warm sound. Mostly recorded at Sala A Studio in Brazil, many drum parts were also recorded at the fully analog Ambience Studios in Finland. The mix was also done in Finland on a Neve 8108 console from 1978, using only analog technology and a Studer master tape to record the final pre-master. 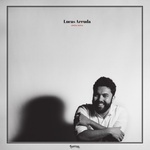 The result is a timeless album, which should definitely establish Lucas Arruda as one of the finest and most talented Brazilian musicians these days. Lucas Arruda was born in 1983 in a Brazilian state called Espírito Santo, near Rio de Janeiro. Coming from a musical family he started playing and listening to music at a very young age. At the age of 13, he was also already playing professionally. After studying electric guitar and playing in various bands, Lucas' passion quickly turned to Rhodes and keyboards, expanding his musical range of skills. At the same time he started a project called Du Black with his older brother Thiago, quickly receiving various local support from people such as Ed Motta, William Magalhães (Banda Black Rio), Robert Lamm (Chicago), and Brazilian soul legend Hyldon. From their growing notoriety, the band began to work with various other artists and singers such as Tamy Macedo and boss nova legend, Leila Pinheiro, leading Lucas to build a recording studio with Thiago in 2011. 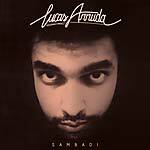 Now two years later, here comes Sambadi, the first solo album by Lucas Arruda. On this recording he also teamed up with Fabricio di Monaco (Modo Solar), who clearly became a fundamental member. Sambadi is highly-inspired by Rio de Janeiro. As for the musical side, the album almost sounds like a tribute to long-time heroes like Stevie Wonder, Curtis Mayfield, Marcos Valle, Azymuth, or Robson Jorge and Lincoln Olivetti. Digipack limited CD edition. Deluxe 180 gram vinyl version, housed in an old-school tip-on jacket. Lucas Arruda was born in 1983, in a Brazilian state called Espírito Santo, near Rio de Janeiro. Two years after he launched his home-studio, here comes Sambadi, the eponymous first single from his upcoming first solo LP. Inspired by Rio, the album almost sounds like a tribute to his longtime heroes, with tasty influences from Stevie Wonder, Curtis Mayfield, Marcos Valle, Azymuth, Robson Jorge, and Lincoln Olivetti, amongst many others. Includes a remix by Patchworks.